Good News! The U.S. Senate passed a new flood insurance bill on Thursday that will implement a 4-year “timeout” for the recent rate increases to the National Flood Insurance Program. The bill will now go to Congress where it also has wide bipartisan support. Click here to read the full article from the National Association of Realtors website. Listed at $275,000, this well-maintained townhome is perfect for your island retreat. Sold furnished and ready to go. Gulf view, pool front location. 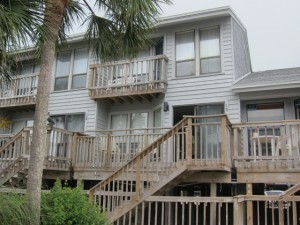 #00 Ocean Mile is a 99-unit gulf front townhome complex on the East End of St. George Island near the State Park. 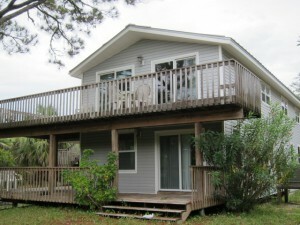 The real estate sales market is stable on St. George Island based on sales statistics as of December 9. The number of transactions decreased 8% from 2012, but the inventory decreased 11%. The average sales price decreased 4%, but the Days on Market (DOM) decreased 6%. The sold to list price ratio increased from 93% to 94%. 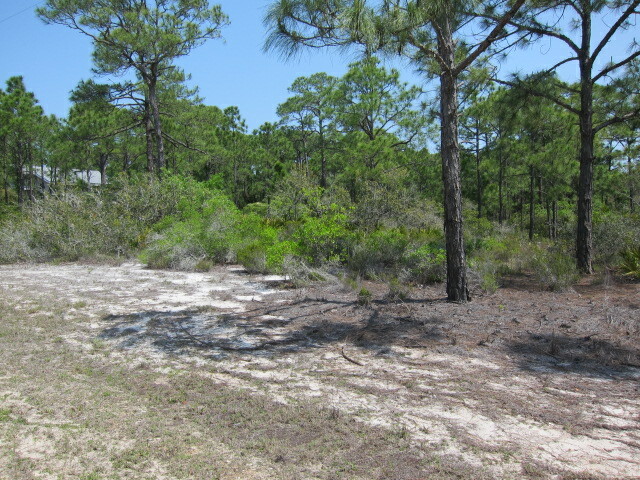 These statistics cover all transactions on St. George Island including residential, lots & land and commercial. Information is from the Multiple Listing Service of the Realtor Association of Franklin & Gulf Counties. 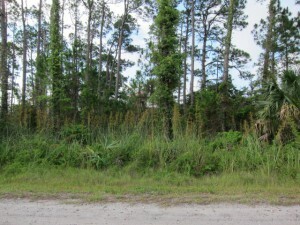 This beautiful lot is listed for only $49,900. Located at 305 Bradford Street in a quiet area, the site is approximately 90 ft x 150 ft with natural vegetation and trees. No visible wetlands. Bank owned. 305 Bradford Street, SGI. $49,900. One of the best values on St. George Island is a 4 BR/3 BA beach home at 1116 West Pine Avenue listed for $289,000. This older home has been very well-maintained. Two living areas, 2 car garage. The large decks and landscaped yard create wonderful outdoor entertaining spaces. As a vacation rental, the home produced over $22,000 gross rental income in 2012. Enjoy the natural vegetation and trees in this quiet location that offers privacy near state-owned lands. 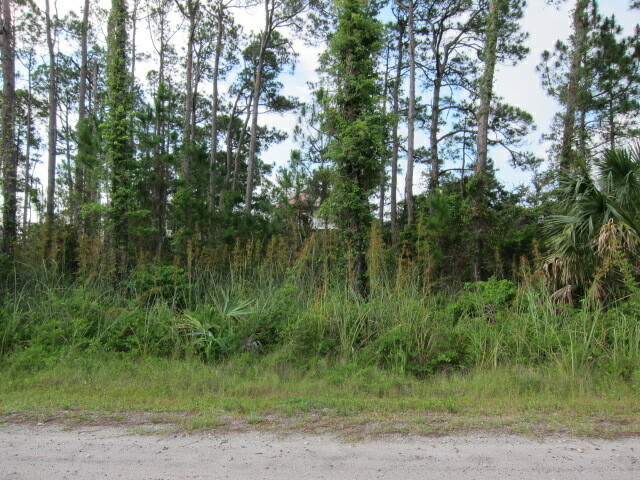 948 East Pine Avenue is the address of a new listing on St. George Island. Located on the south side of Pine, both gulf and bay views are possible with 2-story house design. List Price: $89,000. Legal Description: Unit 4, Block 45, Lot 7. This year through July, there were 102 new foreclosure cases filed here in Franklin County, according to Clerk of Court Marcia Johnson. In 2012, a total of 180 cases were filed. This is down from the peak here in Franklin County when annual filings were over 200. Johnson also reported that only 21 cases were filed during 2005, her first year in office. While the level of foreclosure filings remains somewhat high for the county, there are few new filings on St. George Island. Currently, there are no active bank owned listings on St. George Island. This is due, in part, to the active market on St. George and to the bank’s willingness to approve short sale transactions. 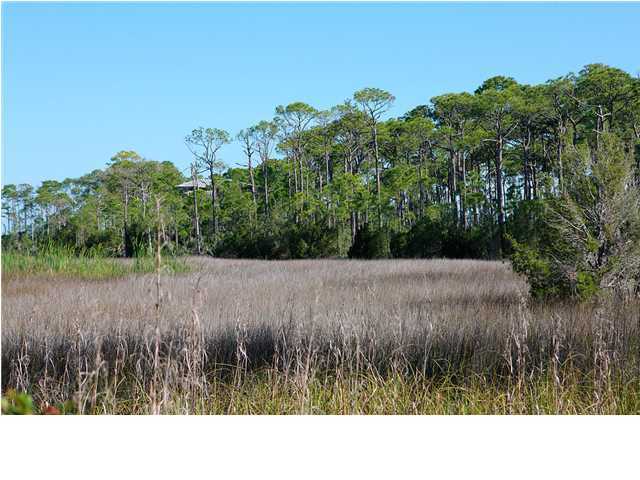 This beautiful one acre homesite is located in St. George Plantation, the gated community on the west end of St. George Island. 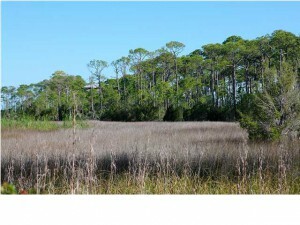 The site fronts a marsh habitat with great vistas for wildlife and nature viewing. The natural vegetation is lush. Quiet location offers privacy and is ideal for anyone who enjoys birding and nature. 1439 Dove Lane is listed for $119,000.